We have built the country’s most impressive tailgating vehicles and marketing trailers and we’ve been highlighted on ESPN, ESPN2, and Big Ten Network. Imagi-Motive was founded by Kevin Mims and his dad Mike Mims in 2008. Kevin and Mike developed the idea for the Removable Tailgating System while Kevin was finishing his last semester of college and his last season of football. After playing in the Alamo Bowl and graduating from Northwestern University in Mechanical Engineering, Kevin hit the ground running. The prototype was completed shortly thereafter, and Imagi-Motive was on the move. Knowing that we had the skills and contacts to expand our product lines, we developed our first tailgate trailer before the 2009 football season. Before the end of 2009 we had created a handful of highly functional, and awe-inspiring, trailer designs for both tailgating and mobile marketing. For the first few years, the line between tailgating and marketing seemed to be blurred. Then in 2011 we began working with marketing companies around the country. We created projects for experiential marketing, trade shows, guerrilla marketing, and everything in between. In 2016, Kyle and Scott, who worked at Imagi-Motive for the Mims family, bought the company. Now, Imagi-Motive is still the expert in tailgating trailers and experiential marketing vehicles. Unlike our early years, we are now respected within the larger mobile marketing vehicle and food truck industries. We are forever looking towards innovation and expansion. Kyle has often been called a “gear head”, but his skills go far beyond turning wrenches (although he is VERY good at that too). 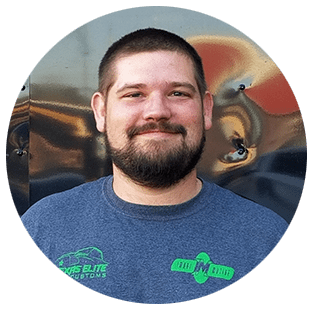 Kyle is a graphic designer, network guru, and is one of the most knowledgeable aftermarket accessories people in the country. 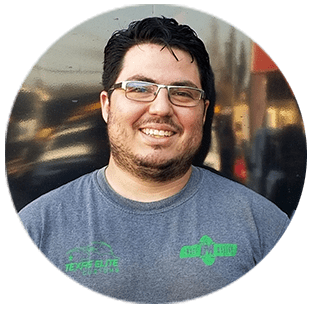 Kyle is available to discuss any plans whether its for a custom trailer, marketing trailer, mobile food truck, truck or Jeep Accessories. 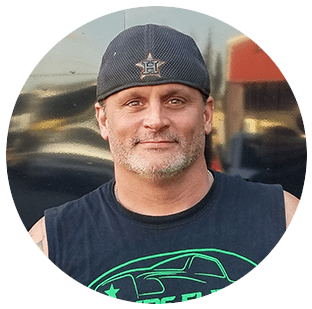 Scott has been around the custom Jeep and Truck world for over 10 years, if its on a Jeep or been done to a Jeep he is the one who will know. 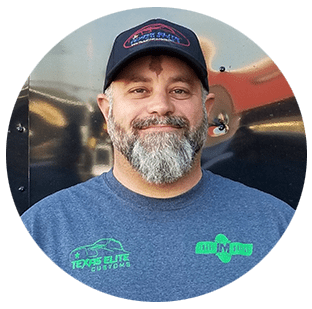 He has many years of sales and fabrication to assist you with your needs for that one off custom build. Feel free to call Scott to discuss the variety of ideas you may have to meet your demands. Joebe has been with Imagi-Motive since October of 2016. Along with fabrication and welding he is also well versed with electronics, wiring and the technology aspect of our custom builds. Whether its Cat5 or coax Joebe know his theatre wiring. Joebe is also our Spanish speaking Sales Rep and interpreter to ensure all of our customers get the attention they deserve. Craig has over 20 years of experience in Automotive Sales Management and Customer Service. Craig listens to his customers needs and finds the solution to their concerns. At Imagimotive, Craig manages and maintains the sales accounts and keeps ongoing communication with clients. He is detailed oriented, hardworking, an effective communicator and provides great customer service. We always strive for happy customers. Below are just a few of our customer’s testimonials for the work we provided. We appreciate hearing how our work has “Wowed” our customers. We’d love to give you the same experience! I recently had my food trailer built by Imagi-Motive. From start to finish it was a great experience. They helped me design the trailer so that I would get the most utilization out of the space and helped me add storage. This is my second food truck that I have built and I wish I had come to them for the first one. The quality of work that they do is impressive. They really know what they are doing and are up to the challenge when you ask them to do something new. They completed the job on time and they keep the lines of communication open. The final bill was what I was quoted. They even converted a gas generator to a propane generator to save me money and make it run more efficiently. There are other builders that may be cheaper, but my experience with the first truck is you get what you pay for. The builder for my original truck quoted me 15k cheaper to build a trailer and I still went with Imagi-Motive. I work nearby and was able to see them work. As stated earlier they know what they're doing and run their operations like a real business. They are clean and organized and have a competent staff. I would without a doubt use them again and would recommend them in a heartbeat. My company, Corkcicle, embarked on a new project that required the augmentation of an International Terrastar conversion to become a Mobile DJ Unit complete with A/V digital and of course HD capabilities. 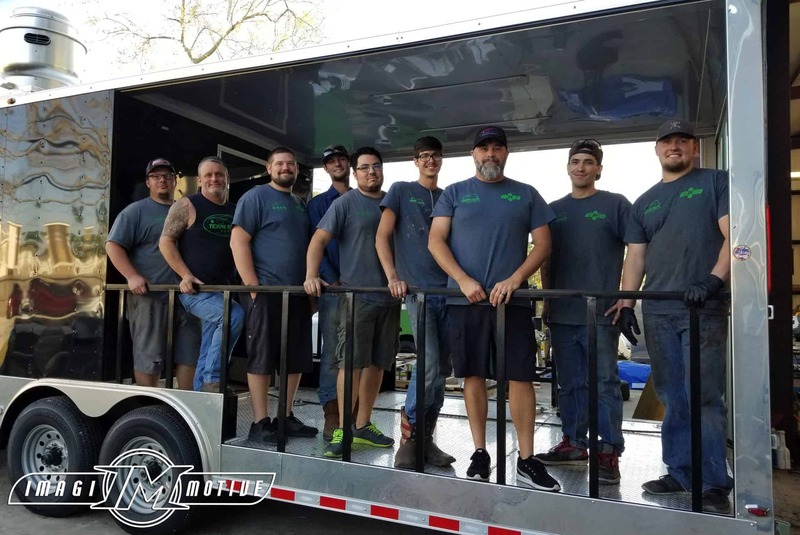 The team at Imagimotive, LLC not only gave us the star-studded vehicle we were dreaming of, but they also completed it on time and within budget. They were very accommodating when it came to change orders and were very helpful in explaining advantages and disadvantages to reengineered implantations of our ideas. We would recommend them to anyone looking to build something out of the ordinary but incredibly functional for their desired marketing purpose. It is a cause of great pride when our customers highlight our work in their marketing. Do you have a brilliant idea, but not sure how to implement it? Our team can make it a reality. Need help deciding where to start? We have the experience to work with you in the design process. Call our Sales Team today to get started!